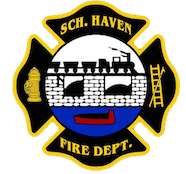 November 6, 2008- At 11:08 all 3 Schuylkill Haven stations were dispatched to assist District 41 (Cressona) on a reported kitchen fire at 34 Chestnut Street, Cressona Boro. Chief 41-05 (Woleschock) was first to arrive on scene and confirmed a working fire. Engine 41-17 was first engine to arrive and hit a hydrant in the front of the building, while Engine 737 was next in and hit the hydrant to the rear of the building. The fire which had originally started in the kitchen took off, and consumed the whole first floor of the house prior to any fire apparatus arriving on scene. Chief 41-05 took command, and asked for a 2nd alarm to be struck, bringing in District 34 (Friedensburg), Pottsville R.I.T. and Ladder 51 (Pottsville). S.H.F.D. assisted with fire suppression as well as ventilation and were on scene for 2.5 hours.